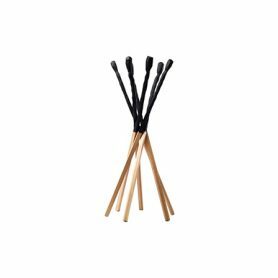 Match is a coat hanger that recalls a match consumed by a flame. Six wooden sticks joined together to make a practical coat stand. An ironic hanger that decorates your room with a playful style. Mogg is an Italian company that produces design furniture.